We can’t make this stuff up. 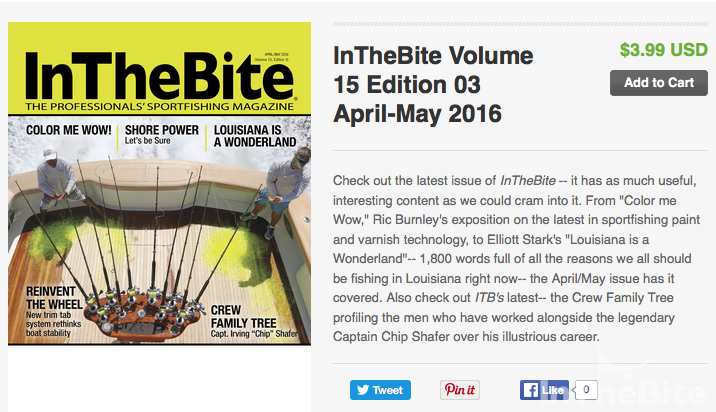 With our April/May magazine issue being circulated all over the islands, we just received this photo and text. Why? In this issue is an excellent article on shore power systems by Steve Katz. “Hey dale it’s Paulie this is a photo of our power cord at Rosies this morning !!! I don’t have signal so this is my bosses phone !!! Let me know if you can see it Boats name is Serenity 62 Ocean owner Chuck Oke photo by me Capt Paulie” Paulie phoned in and said they they just finished reading the article on Shore Cord power. Maybe we should publish an article on finding treasure……. The shore power system often seems so simple. We handle the cord as if it were like plugging in the toaster at home. Most of the time the marine shore power system is simple and safe, though it does not take much to cause a major problem. Most shore power cords and systems we use are the 50 amp 125/250 volt configuration. This is normally a four wire cable and three prong plug with a metal grounding tab. 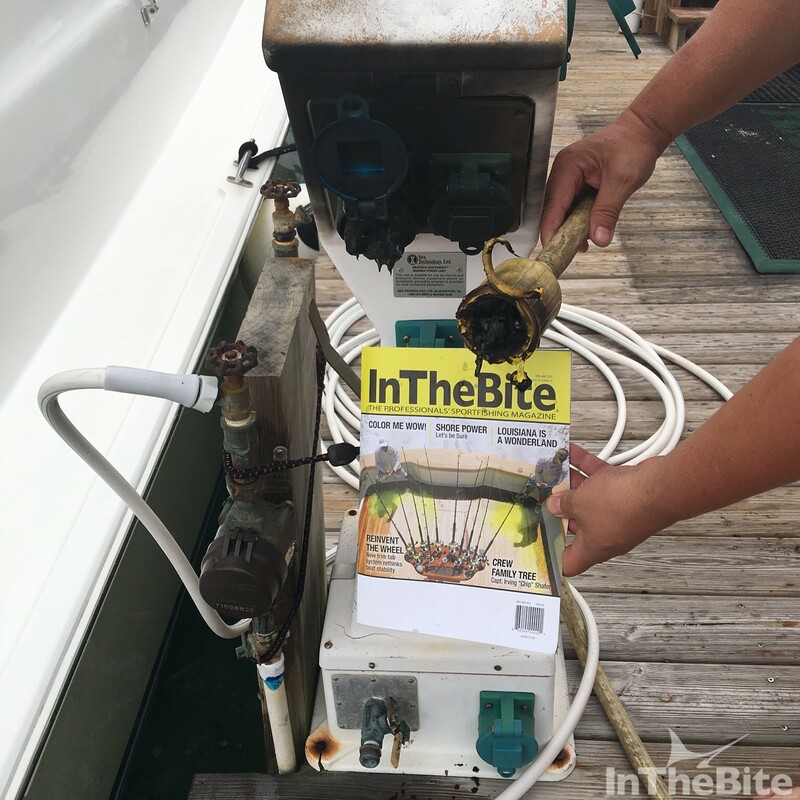 This system is the most commonly available at North American marinas. A similar, sometimes confusing configuration is the 50 amp 125 volt plug. This configuration is almost identical, except for the shape of one of the three prongs. It is purposely different so it can’t be connected into a 125/250 volt system. Larger sportfish boats that need additional electrical capacity often have a second shore power cord with the same 50 amp 125/250 volt configuration. Another option for additional capacity is to move up to the 100 amp system (easily identifiable by the large 4 round pins inside the plug and much larger housing). This configuration is becoming more popular, especially in newer marinas in popular fishing destinations. On a recent trip to the Dominican Republic, it seemed that the marina in Cap Cana had more 100 amp pedestals than the traditional 50 amp pedestals. When travelling, be sure to bring adaptors as needed– when in doubt, pack the adaptor. There are generally four wires inside the shore power cable: red, black, white and green. The red and black are current carrying (hot) wires. These wires carry 125 volts each (250 volts between the two) and are sometimes referred to as leg one and leg two. The red and black wire each carry up to 50 amps of power. The white wire is the grounded wire, also called the neutral wire. The green wire is extremely important– it is the safety grounding wire. This green wire is not normally considered a current carrier unless and until there is a fault. The green safety-grounding wire is part of a larger onboard ground system that consists of the bonding system and the DC negative system.